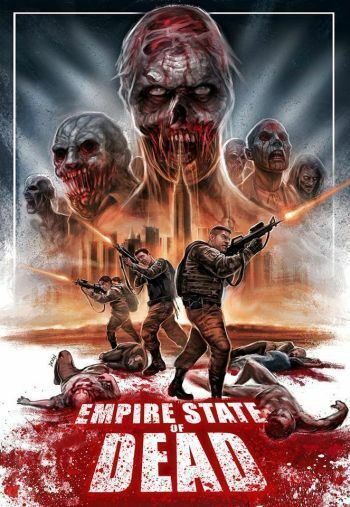 Looks like “Empire State of the Dead” will be getting a general release in April \m/. Read about it on this write up on the RUE MORGUE site by Mike Gingold. This film is basically the winners of the 2014 Zombie Short Film contest by Ron Bonk-who also filmed the wrap around story to tie them all together. I play the part of a “Joker-Lite” character named Draven in the film “Blessed Are The Meek” (AKA “Prey of the Living Dead” in the film) by MAD ANGEL FILMS (directed by Matt Peters). Included in this are several directors / actors from across NY state including Ryan Santiago, Greta Volkova, Nathan Faudree, Mu-Shaka Benson, Geoff Orlowski, Jody Pucello, Jonathan Straiton, Jennie Russo, Eli DeGeer, Michael Merchant, Joel Miscione, Cassandra Hayes, Moe Isaac, James Cacciatore, Hanover Archibald, and many more. This entry was posted in WRITE UPS and tagged Blessed Are The Meek, Cassandra Hayes, cny, Draven, Eli DeGeer, Empire State Of The Dead, geoff orlowski, Greta Volkova, Hanover Archibald, horror, horror film, horror movie, JAMES CACCIATORE, jennie russo, Jody Pucello, Joel Miscione, Joker, jonathan straiton, matthew a peters, Michael Merchant, Mike Gingold, Moe Isaac, mu-shaka benson, nathan faudree, Prey of the Living Dead, RON BONK, Rue Morgue, Ryan Santiago, Short Films, SRS Cinema LLC, wayne w johnson, write up, WWJ, zombies. Bookmark the permalink.